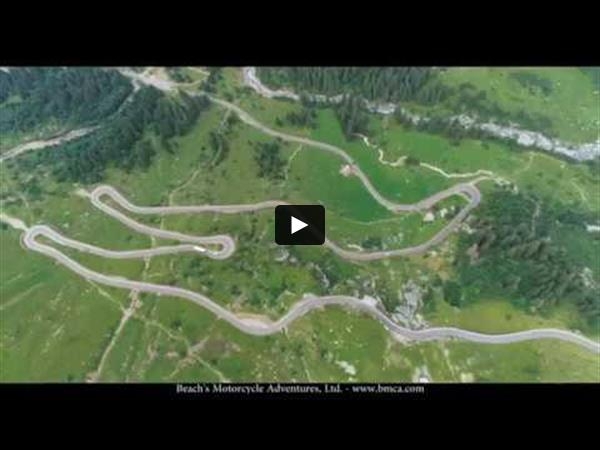 There’s Magic in the Alps, and it only takes a week to see it! We get it. Not everyone can leave home and escape work for half a month. You are still deserving of adventure. To that end, Beach’s offers two compressed itineraries. We use the word compression because although it may take up less space on your calendar, there is no loss of quality. This year’s itinerary for the Swiss Splendor runs right through Canada Day and Independence Day. This means that a rider could experience 9 magical days without sacrificing even a week of business. 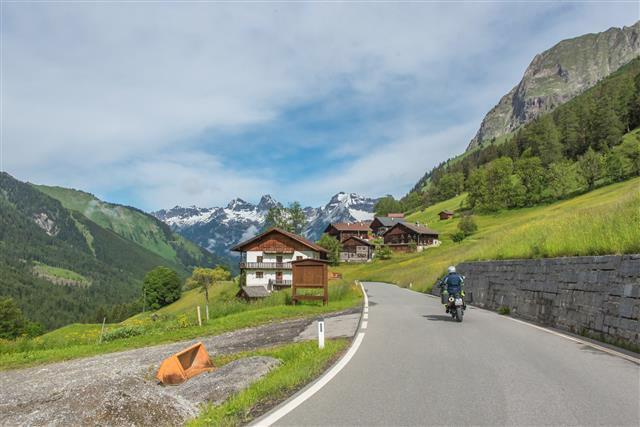 Instead of staying home for the same-old grill and fireworks, opt to picnic on top of the world and witness the explosive sensations only available astride a BMW upon an Alpine road. 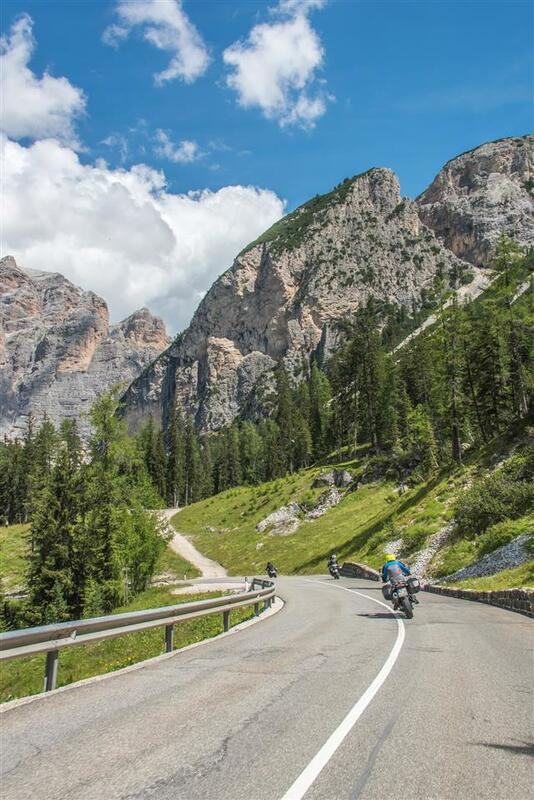 This monumental mountain range in northeastern Italy is an idyllic playground for motorcyclists. Much of the region was Austrian until annexation by Italy after World War I, and the distinctive local cuisine reflects these roots; expect lots of speck, sauerkraut, knödel, and strudel. 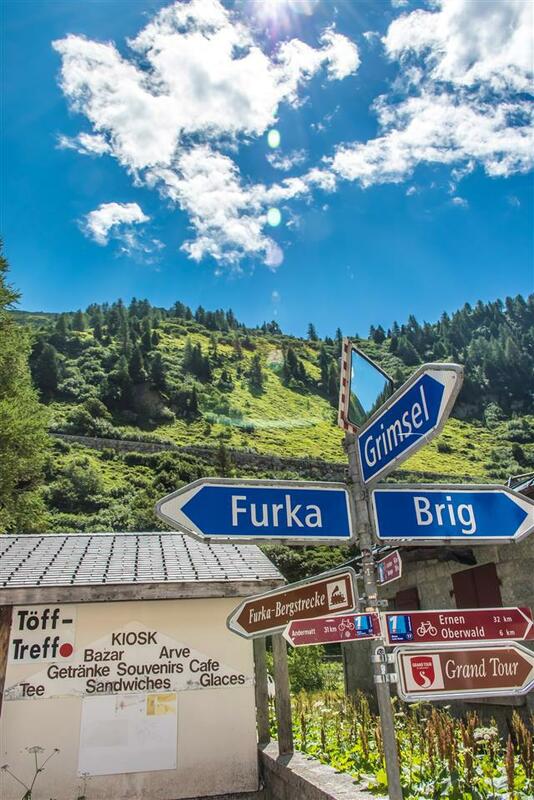 From valley to valley, village to village, you’ll still encounter mostly German, some Italian with a lilting accent, as well as Ladin, an umlaut-heavy language native to this remote region. 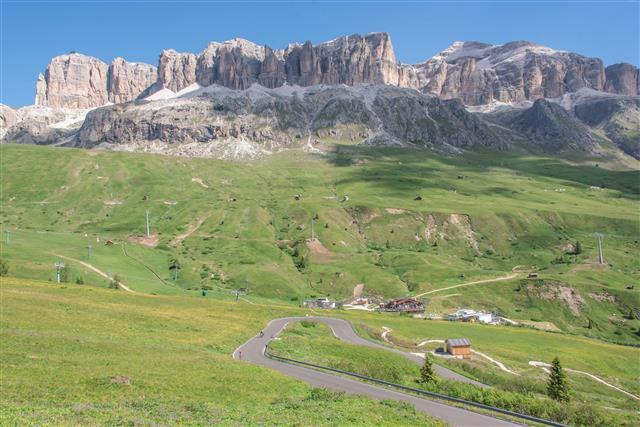 But though road signs are posted in two or three languages, the otherworldly beauty of the Dolomites needs no translation.